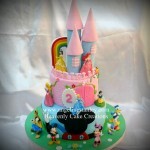 It is hard to decide what theme is best for Gabrielle especially when she just turned 2 years old. I suppose this is not too bad idea to combine 2 themes together. What do you think? 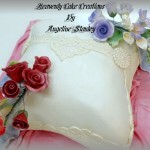 I love making pillow cake. They looked elegant and beautiful. Can be topped with a tiara for a princess’s birthday, flowers for hantaran or wedding gift. The lace effects perfecting it even more. Anyone can bake! If you’ve seen “Ratatouille”, then this statement from Chef Auguste Gusteau will sound familiar. It is true that anyone can replicate a recipe from a baking book or magazine, but to me baking is much more than that. Each time I bake I embrace the challenge of creating something special and unique, a piece of art, a masterpiece! Each cake made by Angeline needs to be something very special. And over the years it has been my pleasure and privilege to share in so many happy occasions with my clients. If you are planning a special celebration, a delicious and beautifully designed cake will make it one to remember! Making great cakes requires lots of patience and practice, a sincere passion and love for cake decorating, and the drive to create that very special cake which perfectly suits the occasion and satisfies the taste buds! 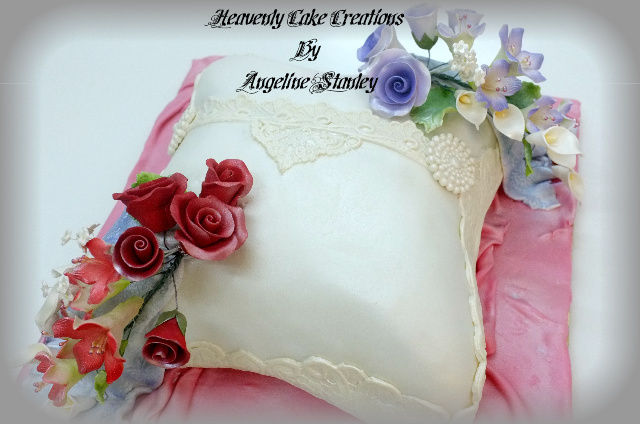 I hope you will enjoy my website, as much to appreciate my portfolio of delicious cake art for all occasions, as to become inspired to learn how you can bake these masterpieces yourselves!